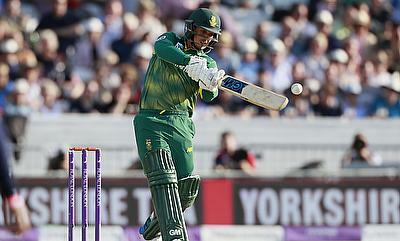 South Africa wicket-keeper batsman Quinton de Kock is selected as the Cricket World Player of the Week for his splendid unbeaten knock of 168 in the first One-Day International against Bangladesh in Kimberley. 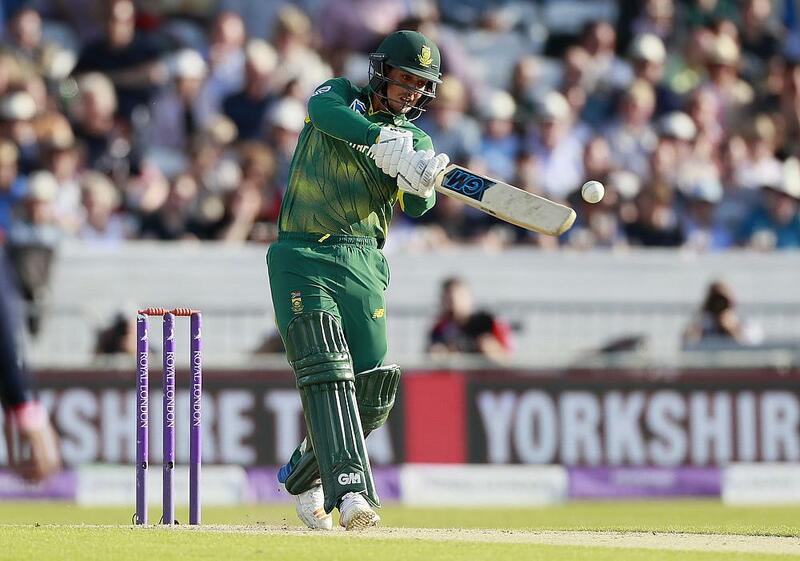 Opening the innings along with Hashim Amla, de Kock shared an unbeaten 282 run stand in 42.5 overs to help the Proteas win the game by 10 wickets and go 1-0 up. His innings came at a strike-rate close to 116 and had 21 boundaries and two sixes in it. It was also his 13th century in the ODIs. Meanwhile, Amla himself slammed an unbeaten 110 and became the fastest to 26th centuries in the 50-over format. Earlier, Mushfiqur Rahim also slammed an unbeaten century but a four wicket haul from Kagiso Rabada restricted the visitors to 278 for seven in the 50 overs. The first ODI between Pakistan and Sri Lanka saw Babar Azam slam a century while Rumman Raees and Hasan Ali picked three wickets apiece to set up a convincing 83 run win for the home side in Dubai. Jason Behrendorff had an outstanding outing against India in the second Twenty20 International in Guwahati as he went on to pick four wickets to dismiss India for 118 in the 20 overs following which Moises Henriques and Travis Head slammed unbeaten 62 and 48 respectively to help Australia win the game convincingly. However, the final game in Hyderabad ended in a washout due to wet outfield leading the series to end in 1-1 draw.